The new GTBank mobile app gives you instant access to your GTBank account and GTBank mobile money wallet on the go. Simply download for free today. 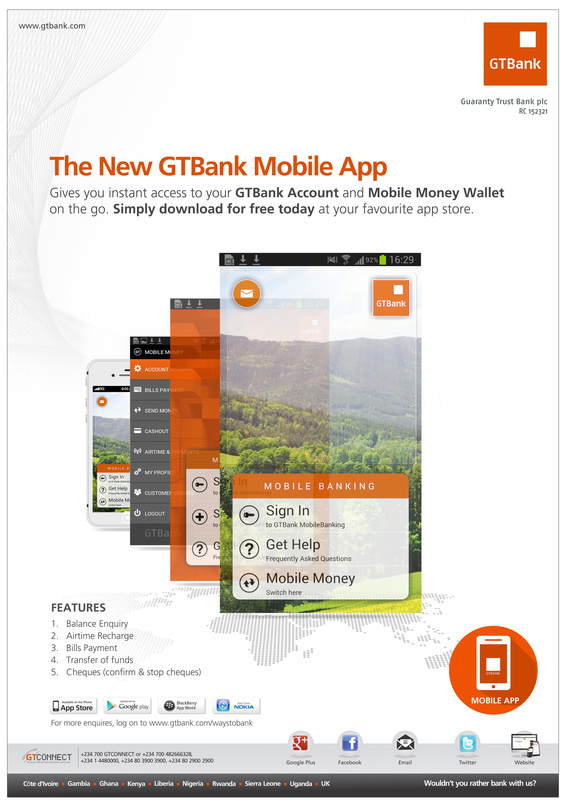 You will find the links to download the new GTBank mobile app for your own type of phone. You will also go to know the features, how to register, how to fund, how to send money, how to withdraw, how to upgrade and other answers to the questions you may have.